Hanover - Borussia Dortmund's 1-1 at Hannover 96 on Matchday 7 leaves them already nine points behind front-runners Bayern Munich. The champions have to look back no further than this time last season, however, to find a considerable measure of consolation in that statistic. In 2011/12 it was Matchday 6 when Dortmund travelled to Hannover - and lost out to two late goals there. That, however would prove to be their final league defeat of the season as they powered to a second successive title in spectacular fashion. BVB head coach Jürgen Klopp has accordingly been at pains to stress his side are responding to the sitation with equanimity. Indeed, the gap between themselves and Bayern at the top is "only" a point more than it was this time last year. "I don't care about Bayern's nine-point advantage," the charismatic 45-year-old tactician commented, "we're playing our own season, just as Bayern are playing theirs. We'll see where stand at the end of it." 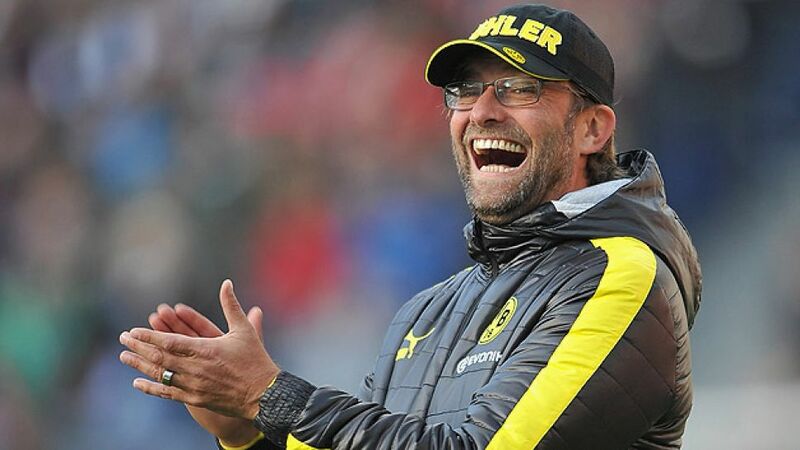 Dortmund's away form has been decidedly patchy - one defeat and three draws thus far - but Klopp believes his side can still do the business when not playing at their home Signal Iduna Park. The draw at Nuremberg, he said, was the only game were the team performed below par. "There are various reasons for it", the coach analysed, "We were the better side at Hamburg [when Dortmund lost 3-2] but our finishing let us down. But that doesn't worry me. If we keep playing like we did at Hannover and Hamburg, we'll soon clinch our first victory." At Hannover, Klopp's troops again failed to make the most of a clutch of promising counter-attacks. "We could have gone 2-0 up and possibly wrapped up the match. But we made tactical errors, weren't calm enough and played the ball forward too quickly", he summarised, adding that he felt his players were not focused enough in the second half against a Hannover side who are now unbeaten in 22 Bundesliga outings at the AWD Arena. Mame Diouf's late equaliser for Hannover was of less immediate concern to Klopp after Sunday's match than the injuries sustained by Sven Bender, Mats Hummels and . "That's the first time I've ever had to make three substitutions due to injury," he commented. Bender came off with a bruised eyeball, while Hummels was still feeling the effects of a hip knock taken in the Champions League encounter at Manchester City. Blaszcykowski'sproblem is the most serious, a partially torn ankle ligament which is likely to keep him out of action for six weeks. The unavailability of "Kuba" is a real blow to Borussia as they prepare to try and hunt down Bayern. The dynamic Polish midfielder has been in fine form this season and has already chipped in with three goals and as many assists in the opening seven games. Dortmund will knuckle down to the challenge regardless - after all, from eight points down on Bayern after Matchday 7 last season, they did go on to finish eight points clear of them at the death.